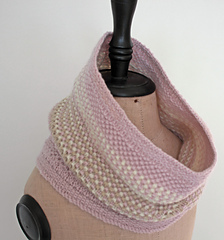 A cowl has more than one purpose, firstly it protects you from the cold and wind and secondly it has to look pretty! 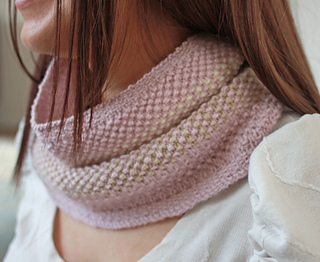 Rose de Reims does both, the slipped moss stitch pattern creates a dense, cushy fabric which settles into comforting layers. 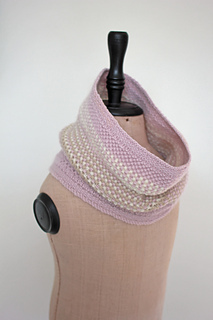 Then the stitch pattern works its magic on the delicate macaron shades of the yarn, weaving them into a charming melange. Dainty in the original shades, this design looks striking in deeper colours and handpaints, the stitch pattern helping to avoid pooling and flaring. 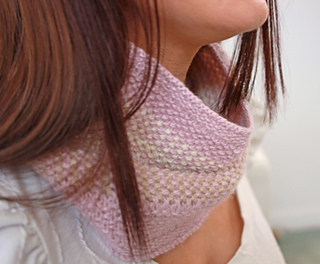 Available in two sizes: regular (pictured) and longer (which will drape a few inches further below the neckline).